3173 - Photo: Nigel Petre Collection. 55008 (D9008) "THE GREEN HOWARDS" was called to works for its final Intermediate Repair on the 15th March 1975. Following stripping in languished in the yard at Doncaster for sometime awaiting the removal of asbestos from its cabs and is seen here, still awaiting entrance to the erecting shops in early May. 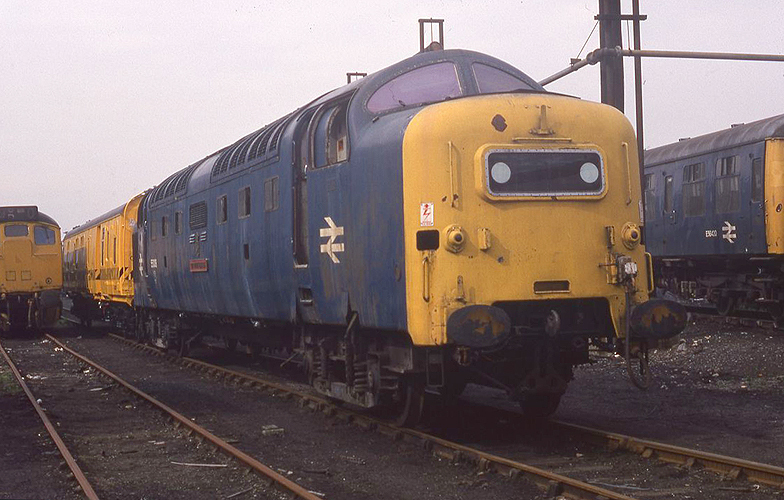 The loco was finally allowed room within the Crimpsall repair shops on the 12th May and was released back into traffic on the 3rd August 1975.